Burn AVI to Home DVD movies and preserve your precious movies, music videos and memories with the Xilisoft AVI to Home DVD Converter for Mac! This Mac AVI to Home DVD creator software is designed to burn AVI video files to Home DVD movies, convert MPEG to Home DVD movies, and burn VOB, DAT, M2V, MPG video files to DVD, Home DVD folders or ISO files. 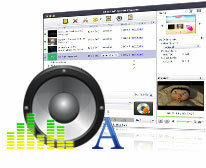 It is also able to create Home DVD menus, clip videos, adjust video effects, add audio tracks, subtitles, etc. 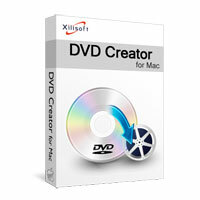 Download the Xilisoft AVI to Home DVD Converter for Mac FREE now. Burn AVI to DVD movies; convert MPEG to DVD movies; create DVD movies from VOB, DAT, M2V, MPG video files; play target DVD movies on any DVD player. More than just an AVI to DVD converter, Xilisoft AVI to DVD Converter also can create DVD folders or ISO files from video files. This AVI to DVD creator allows you to burn video files to DVD discs of different specs and volumes: DVD-R, DVD+R, DVD-RW, DVD+RW, DVD+R DL, DVD-R DL, DVD-5 and DVD-9. Create DVD movies from AVI video files in multithreading, multitasking and batch conversion mode with the highest available speed. Change background picture, add background music (from just about any audio file), menu topic and opening film to make a stylish DVD menu of your own. Extract any video clip as the title miniature for your DVD menu. Alternatively, capture any frame or set any picture as the title miniature. Allows you to create a DVD movie with the menu skipped. Pick out the segments you want from a video and merge them together automatically before burning. Adjust the video frame size with unwanted borders removed; adjust the frame brightness, saturation and contrast; apply artistic effects such as "Old film"; add picture or text watermarks to mark the video as your own. Create your own multilingual DVD movie easily by adding up to 8 audio tracks and 32 subtitles, and set the audio/subtitle delay to make them synch with the movie. Adjust the video/audio parameters to customize your DVD movie such as: video/audio quality, bit rate, television standard, aspect ratio, resize mode, audio channel, sample rate, and so on. This Mac AVI to DVD burner comes with a resizable built-in player allowing you to preview the video file and take snapshots from it at the same time. Adjust the writing speed and number of copies to burn. This AVI to DVD maker is capable of erasing rewritable DVD discs automatically before burning. Add chapters of specified time length automatically under each title. User-friendly interface designed to suit beginners and professionals alike when creating DVDs.